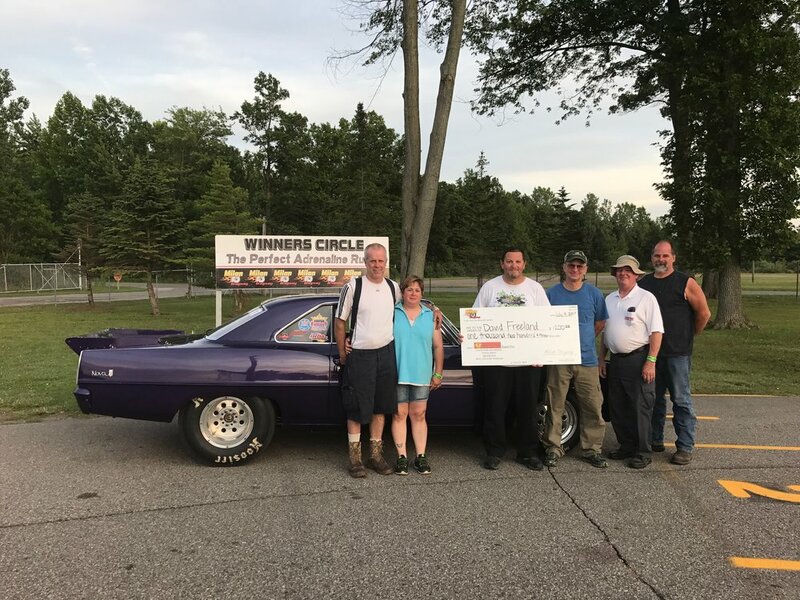 Another day of tight bracket competition has come and gone at Milan Dragway as we had our 8th race of the Fleet Doctor LLC Bracket Points Series. This is the second day of our two day bracket weekend and we have declared our last four winners for the weekend. In Insurance Man Super Pro, the Insurance Man Steve Smith himself made it to the final round, but was taken out by David Freeland. The reaction time advantage went to Freeland who was .019 to Smith’s .029. Freeland finished with a 6.491 on his 6.48 dial which was good for the win thanks to that advantage on the starting line while Smith ran 4.856 on his 4.85. Mickey Adams was able to get the monkey off his back tonight with a win in Masta Performance Pro over Warren Smith. It was anyone’s race off the line as Adams was .006 and Smith .008. That slight advantage helped Adams as he was .021 total to Smith’s .022 package. McCormack Racing Sportsman was won by Darrell Ciaravino who is having a great season so far. A .002 start paved the way for his win over Codie Balcon who was .023. Even though Balcom ran 12.269 on his 12.26 dial, Ciaravino took the win when he ran 11.550 on his 11.53 dial. Joe Novak Sr took the win over Ron Raymond as he had a big advantage off the starting line with his .015 reaction time to Raymond’s .046 in the Super Pro Motorcycle final. Both riders were quite a bit slower than their dial so they must’ve been on the brakes down at the finish line. There has been a lot going on this weekend as we have had 11 winners in the past two days!!! Check out the points standings after today’s race.